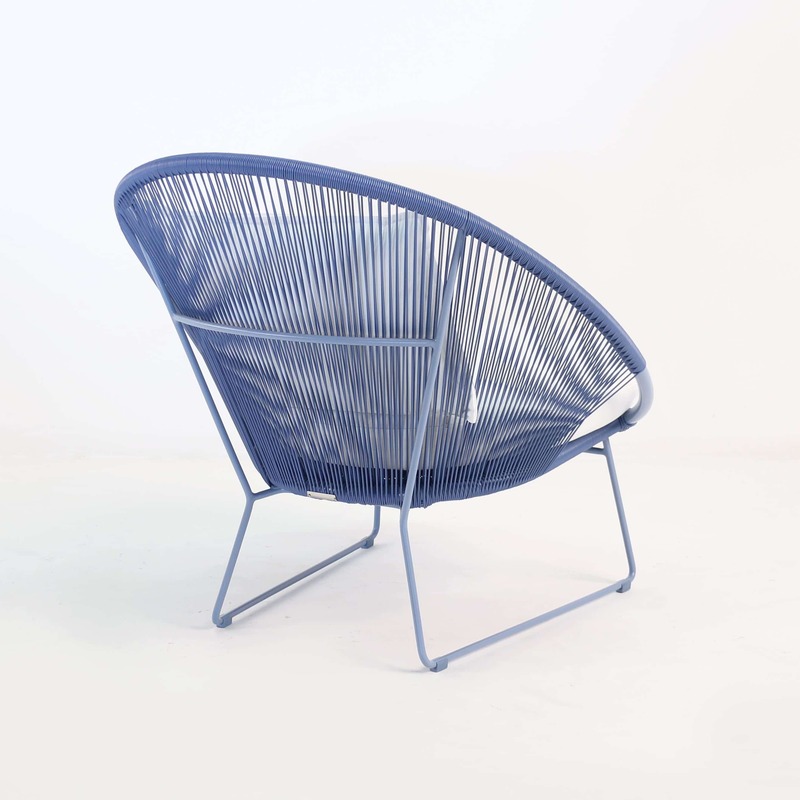 Add a cool, fresh look to your outdoor living space with a Blue Natalie Occasional Chair. 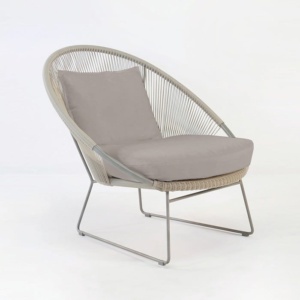 It's a fun, outdoor lounge chair with deep seated Sunbrella® fabric cushions and a bucket-seat frame that you won't be able to resist. With the innovation of Ecolene® Outdoor Weave, its colourfast quality will help retain its good looks. 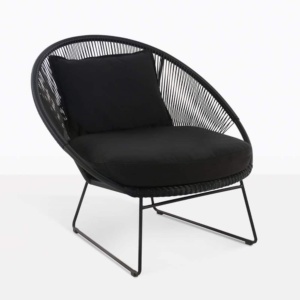 Easy to clean, this fibre is UV resistant and 100% recyclable and won’t peel, splinter or crack during the chair’s lifetime. You will appreciate the lightweight, powder-coated aluminium top frame and the sturdy steel lower frame of the Natalie Occasional chair. 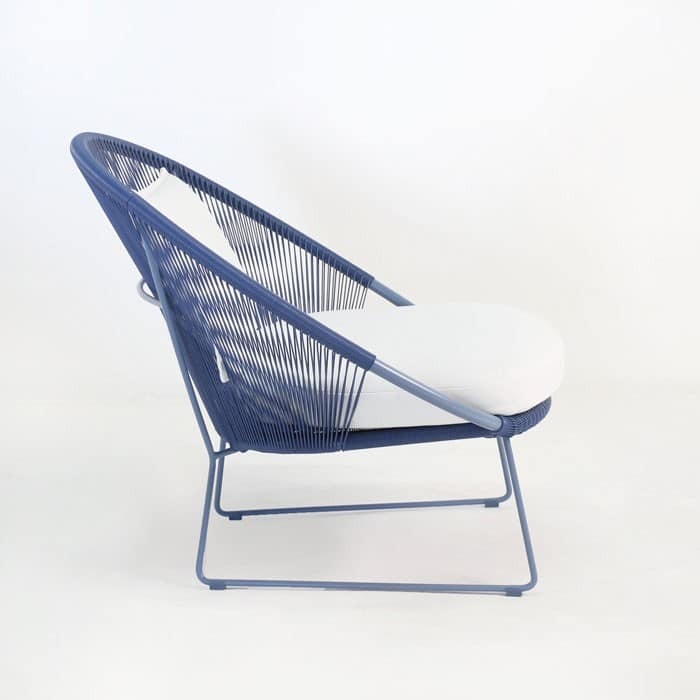 Like the wicker, it’s colour won’t fade and the frame’s low profile is a bold invitation to just take a seat and relax. 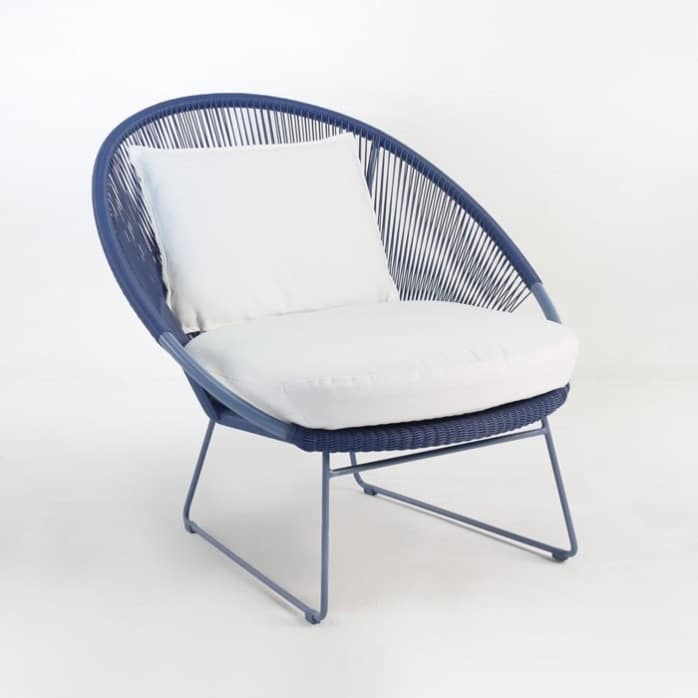 The unique quality of our Natalie Occasional Chair, available in a range of colours, including blue, is the ability to present outdoor furniture like this is bold and different colours.